This is a Brake Pad Set for Triumph TR3B, TR4, TR4A, TR250, TR6 to CC81078 about 1972, GT6 1966 to 1971 and Austin Healey BJ8 from 26705 or cars with 16P Calipers. 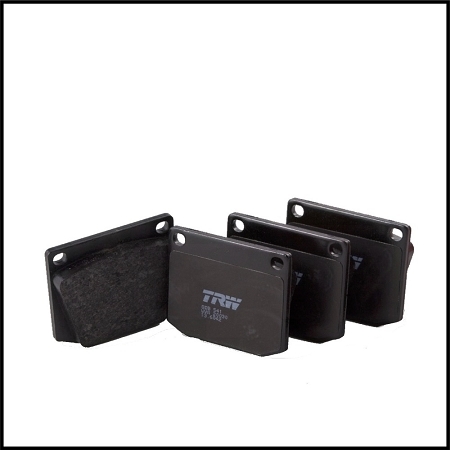 16P brake pads have 1/4 inch holes that the mounting pins pass through on the Triumph TR3B, TR4, TR4A, TR250, TR6 and GT6. These are Axxis Metal Master AKA XPG compound and perfect for hard street or light track use. These pads actually improve in performance with heat to a point. They do need to be warmed up a bit for best performance.